If you are planning to buy a Best Phone under 20000 Rs in India so this is the right place, there were most of the new phones launched in this year under 20000 Rs. and these smartphone offers a fast multitasking experience with huge storage and great design with solid build quality. A lot of Mobiles below 20k available in the market but whenever you want to buy a phone so one question comes in your mind which one to buy? so here is the most noteworthy list of the best phone under 20000 Rs. This Honor Play smartphone specially designed for gaming because in this smartphone you will get GPU turbo technology. The GPU turbo technology boosts the high-end gaming experience and you can play the games in high graphics. Honor Play comes with 6.3 inches Full HD+ display with notch design that is the very trendy topic and design of 2018. The phone is inbuilt with 2.4 GHz Hisilicon Kirin 970 octa-core processor with 4/6GB RAM and 64GB of storage (expandable up to 128 GB). Phone inbuilt with 16 MP + 2MP dual-lens AI Back Camera with LED flash and a Fingerprint scanner also on the back, and 16 MP on the front. Let’s come to the software mobile comes with Android 8.0 Marshmallow (Upgradable in Pai 9 version) with EMUI 8.2 and all the connectivity options are here Dual SIM, 4G VoLTE, WiFi, NFC, and Li-Poly 3750mAh battery. The device equipped with all the possible sensors, which can get a flagship level of phone. In my opinion, this is the best Phone under 20000 Rs that provide the premium looks and flagship performance as well. 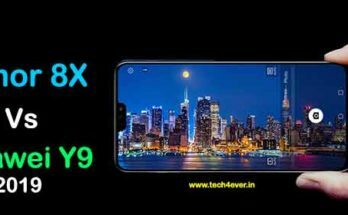 This Honor 8X is a successor of Honor 7X smartphone, Honor 8X is a very built and very attractive phone with solid dual tone glass built that looks very premium like a device 40000 Rs. Honor 8X comes with 6.5 inches Full HD+ display with notch design that is the very trendy topic and design of 2018. The phone is inbuilt with 2.2 GHz Hisilicon Kirin 710 octa-core processor with 4/6GB RAM and 64/128GB of storage (expandable up to 400 GB). Let’s come to the software mobile comes with Android 8.0 Marshmallow (Upgradable in Pai 9 version) with EMUI 8.2 and all the connectivity options are here Dual SIM, 4G VoLTE, WiFi, Bluetooth, and Li-Poly 3750mAh battery. The device equipped with all the possible sensors, In my opinion, If you are looking for a very stylish and great performer in day to day life uses so, this is the best Phone under 20000 Rs that provide the premium and stylish shiny glass looks and great performance as well. (Apple iPhone SE⇒ version comes with 1.84GHz A9 Chip 64-bit Architecture Embedded M9 Motion dual-core processor equipped with 2GB RAM and 32GB internal memory with M9 motion GPU. I don’t need to tell you about Apple iPhone 5s but let’s talk about specifications of iPhone 5s, The smartphone is 4 inch HD retina display with 640 x 1136 pixels. It has 1.3 GHz Dual Core processor with Apple’s own apple A7 chip and 1GB RAM with 16GB of storage (not expandable), Phone inbuilt with 8 MP Back Camera with a dual tone of LED flash and 1.2 MP camera with a Fingerprint scanner on the front side. Let’s come to software mobile comes with Ios v7 and upgradable in Ios 10 version and here is connectivity information it is single SIM, 3G and comes with non-removable 1560mAh battery. This is a first 64 bit mobile in the world and runs very smooth in all expectations so this diffidently comes in Best phone under 20000 Rs in India list. The Realme 2 Pro is a successor of Realme 1 smartphone that was very popular when launched, Realme 2 Pro is a very good performer smartphone in their category. Realme 2 Pro comes with 2.5D 6.3 inches Full HD+ display with dewdrop notch design, that looks very classy. The phone is inbuilt with 2.0 GHz Snapdragon 660 AIE octa-core processor with 4/6 and 8GB RAM and 64/128GB of storage (expandable up to 256 GB). Phone inbuilt with 16 MP + 2MP AI dual-lens Back Camera with LED flash and a Fingerprint scanner also on the back, and 16 MP on the front. Let’s come to the software mobile comes with Android 8.0 Marshmallow (the company says it is Upgradable in Pai 9 version, let’s see) with oppo UI 5.0 and all the connectivity options are here Dual SIM, 4G VoLTE, WiFi, Bluetooth, and Li-Poly 3500mAh battery. The device equipped with all the possible sensors, In my opinion, If you are looking for a performer smartphone so, this is the best Phone under 20000 Rs that provide stylish shiny glass looks and great performance as well. The Redmi note 6 Pro and Redmi note 5 pro smartphone are very similar in the specification ( ”Redmi note 5 Pro comes with full view display without the notch and single camera in the front” ), Redmi note 6 and 5 Pro is a very good smartphone in terms of performance, camera, battery life and build quality. Redmi note 6 Pro comes with 2.5D 6.26 inches Full HD+ display with a big notch, that looks very old fashion. The phone is inbuilt with 1.8 GHz Snapdragon 636 octa-core processor with 4/6 GB RAM and 64GB of storage (expandable up to 256 GB). Phone inbuilt with 12 MP + 5MP AI dual-lens Back Camera with LED flash and a Fingerprint scanner also on the back, and 20 MP + 5 MP on the front. These both also come in the Best Selfie Phones below 20000 Rs. Let’s come to the software mobile comes with Android 8.0 Marshmallow with MIUI skin and all the connectivity options are here Dual SIM, 4G VoLTE, WiFi, Bluetooth, and Li-Poly 4000mAh battery. The device equipped with all the possible sensors, In my opinion, this is the best contender of best Phone under 20000 Rs list that provides balanced performance and a great camera with long battery backup. The Xiaomi MI A2 is a successor of Mi A2 smartphone, Mi A2 is a very good smartphone in terms of performance, camera and build quality. Xiaomi Mi A2 comes with 5.9 inches Full HD+ display that protects with Corning Gorilla Glass 5, The phone is inbuilt with 2.2 GHz Snapdragon 660 octa-core processor with 4/6 GB RAM and 64/128 GB of storage. Let’s come to the software mobile comes with Android 8.0 Marshmallow with stock Android skin and all the connectivity options are here Dual SIM, 4G VoLTE, WiFi, Bluetooth, and Li-Poly 3010mAh battery. The device equipped with all the possible sensors, In my opinion, this is the best contender of best Phone under 20000 Rs list that provides pure stock Android experience and balanced performance and the great back camera. The Nokia 6.1 Plus is a very good looking and premium glass design smartphone which is extremely well built in all the aspects and also provide great performance with pure stock Android skin. Nokia 6.1 Plus comes with 5.8 inches Full HD+ display that protects with Corning Gorilla Glass, The phone is inbuilt with 2.8 GHz Snapdragon 636 octa-core processor with 4 GB RAM and 64 GB of storage. 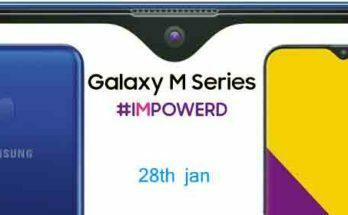 Phone inbuilt with 16 MP + 5MP dual-lens Back Camera with LED flash and a Fingerprint scanner also on the back, and 16 MP on the front. Let’s come to the software mobile comes with Android 8.1 Marshmallow with stock Android skin and all the connectivity options are here Dual SIM, 4G VoLTE, WiFi, Bluetooth, and Li-Poly 3060mAh battery. The device equipped with all the possible sensors, In my opinion, this is the best contender of best Phone under 20000 Rs list that provides pure stock Android experience and well-balanced performance with great and very premium glass looks. This is the list of best Phone under 20000 Rs which is very built and in terms of performance they will not disappoint you and of course, in terms of brand value and services, they also are great. TaggedBest mobiles under 20000 Rsbest phone under 20000 Rs.best smartphones below 20000 Rs. Honor 8x vs Huawei y9 2019 which one should you buy?